Love Owls? 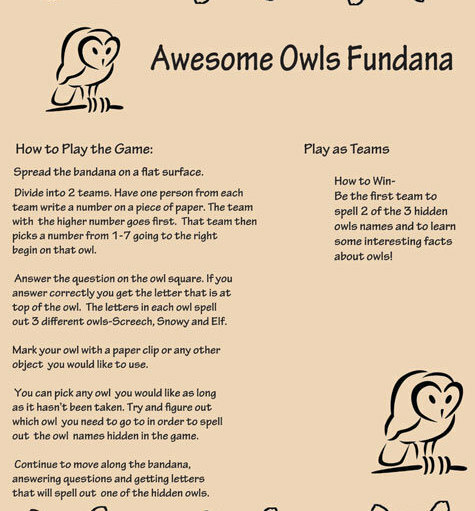 We do too which is why we created this fun game designed to teach kids all about Owls- Awesome Owls Fundanas! What is the smallest owl and More! When they answer correctly they get the letter that is on top of that owl square. The letters in each owl in the game spell out 3 different owls-Screech, Snowy and Elf. 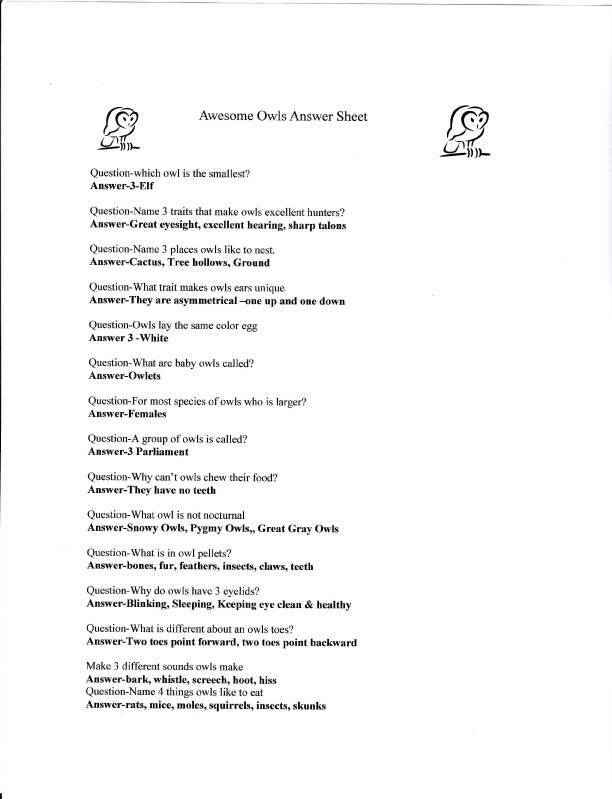 The winners of the game is the first team to spell out 2 out of the 3 owl names and learn fun facts about owls! These durable, washable, bandanas are perfect for "breaking the ice" when introducing kids to to the wonderful world of Owls.